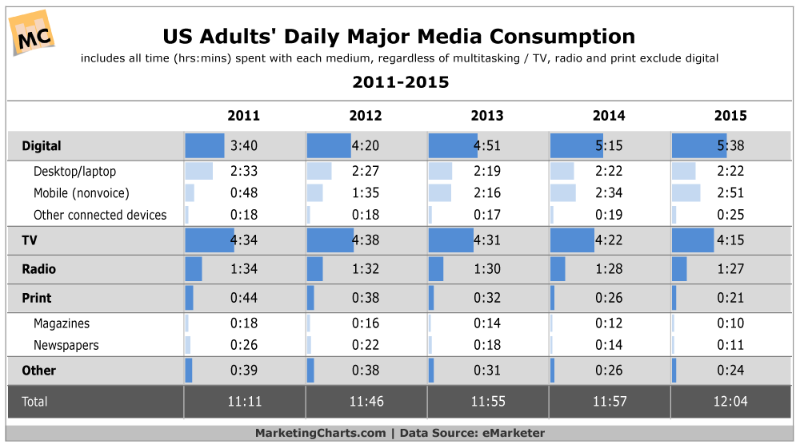 Digital media consumption (daily time spent) surpassed Television in 2013 and the gap has widened significantly since. 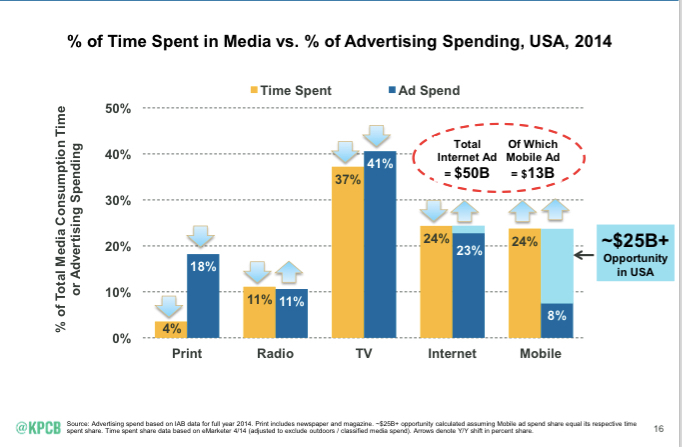 Mobile is the big reason for digital time spent growth. Eventually Mobile will overtake TV as the largest individual media consumption platform. 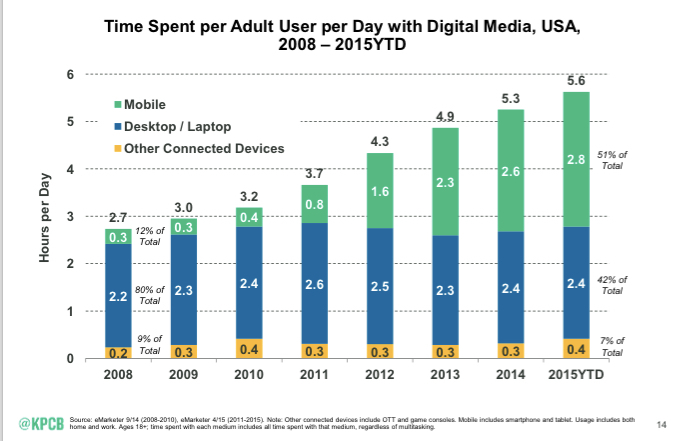 In 2014, Mobile had 24% share of time spent, estimated to be near 30% now. Yet, only 8% of spend. Why? TV has worked for ions, so even if they are hopelessly outspent in broadcast and it’s not driving revenue .. the thought of moving to digital marketing conjures up a total sales collapse in their minds. Zig is a nimble digital consultancy with deep expertise in Social/Mobile/Video marketing. Our approach is different … we go beyond generating awareness to teach consumers why your products are better and get them to buy. This entry was posted in Consumer Trends, Digital Marketing, Mobile, Social, Video and tagged advertising performance, digital first marketing, marketing ROI, mobile, social brand experience, video as TV. Bookmark the permalink. « Clients Love Monologue … Buyers Want Dialogue.